ANTARES is the new corneal topographer that includes a new color high resolution digital camera to perform an advanced tear-film analysis. Available functions are: topography, pupillography, BUT analysis and MGD analysis. It works with USB3 interface and Phoenix software. Latest branch on the CSO topographer tree, the corneal topographer. Modì02 - completely based on Firewire digital acquisition technology - is particularly suited for novices to corneal topography. With the new software Phoenix, without its advanced features, it however maintains all the basic functionality necessary for an accurate diagnosis. 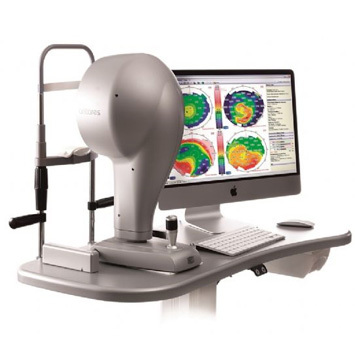 Sirius is a high precision instrument for the tomography of the anterior ocular segment and the 3D cornea analysis. 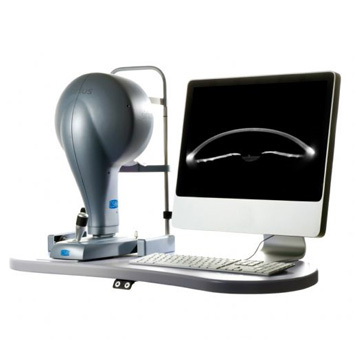 By merging Scheimpflug technology, which allows the measurement of the internal ocular structures, with Placido topography, still unsurpassed for the measurement of elevation and curvatures, Sirius proves to be an essential tools for the diagnosis and the pre- and post-operative evaluation of cataract and refractive surgery. OSIRIS is an aberrometer with unrivalled performance, based on a high-resolution pyramid wavefront sensor. Optical characteristics of the cornea and entire eye are analysed in a single measuring procedure. Ocular wavefront aberrations are evaluated by processing 45000 measuring points, in real time, ensuring a new level of details resolution and precision. 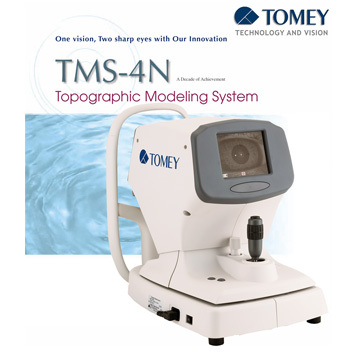 The Topographic Modeling System TMS-4 is a device that provides information about corneal configuration and refractive characteristics. Unlike conventional keratometers, this device employs color maps incorporating the most modern computer technology, to permit easier and more accurate diagnosis than conventional devices. 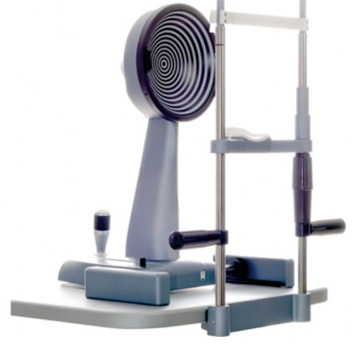 The TMS-4 has a “Light Cone” keratoscope with a short working distance, therefore it is easier for the operator to lift the patient’s eyelid. 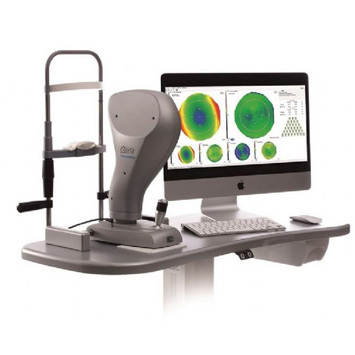 Remarkable features of the TMS-4 are the auto shot system that facilitates operation and the wide variety of clinical applications developed in the long history of the TMS series. 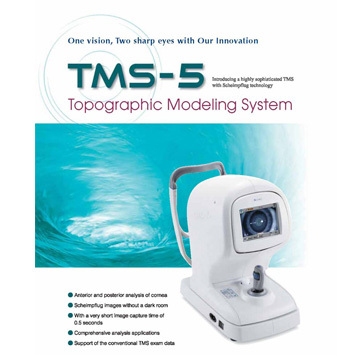 The Topographic Modeling System TMS-5 is a hybrid anterior segment analyzing system consisting of a Placido ring topographer “TMS” and a 3D Scheimpflug camera. 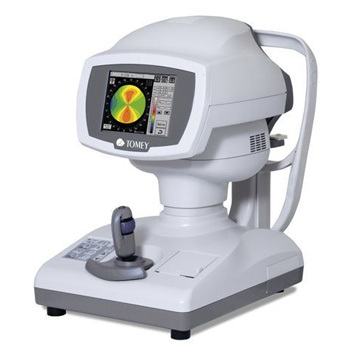 The TMS-5 is indicated for cross sectional imaging of anterior segment components of the human eye such as the anterior and posterior surface of the cornea and the anterior chamber, and also for dimension measurements of these such as curvature, length and area by computed analysis. The prominent features of the TMS-5 are the high speed Scheimpflug camera that takes only 1.0 sec. /exam, which can be very beneficial in preventing motion artifacts, and a high speed computer processing algorithm that reduces the time it takes to delineate the images.